A black and white photograph of Lt/Gov. 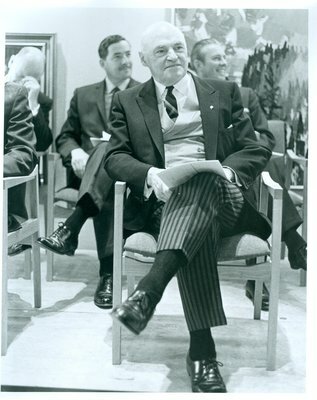 Rowe at the opening ceremonies of the Oakville Centennial Centre. Appears in The Beaver Dec. 14, 1967 with the caption "SMILES AT EMCEE'S QUIP".